Before I met Stevie, my “normal” in relationships could be summed up in one word: disappointment. A relationship would start off strong, and then for one reason or another, it would bite the dust, and I would be left wondering what happened. Being disappointed felt so normal to me in dating, I actually expected it. In fact, IF a guy was really into me and seemed emotionally available, I would freak out. And I would end it. On the show, she’s the white trash girl who dates crappy guys, her mom dates crappy men, and her sister is a stripper at the sleazy strip joint in town. She’s never seen or experienced a healthy relationship before, she doesn’t care about school, and her fate is pretty much to end up like her mom and sister…unless she does something about it. Her ‘normal’ is being repeatedly disappointed by her boyfriend Tim, watching her mom date abusive men, and staying in her small town of Dillon with no real future in front of her. But Mrs. Taylor, the school counselor, decides to take her on as her ‘next project,’ to help her turn her life around. At the same time, she befriends Landry, a classmate who is kind and genuine and is in totally love with her. She resists this new normal because a part of believes it’s not really possible, it feels weird and scary, and she’s unsure how to handle herself. Ultimately, she doesn’t believe she’s good enough. She resists when Mrs. Taylor says it’s possible for her to go to a 4 year university. She pushes away Landry because she doesn’t understand why or how he can love her. Slowly, as the series unfolds, she starts to believe that having a happy life IS possible. She lets Landry into her life, she studies, and she sets big goals for herself. Even after she embraces her new normal, it’s still not all easy cruising. Tim Riggins still tempts her, she’ll skip school, and even her mother tries to tell her that she doesn’t deserve what she wants and that people like her can’t have that. Why am I telling you about this show? Because even if you don’t have the stripper cousin and the quarterback boyfriend, I bet you can relate to pieces of this story — especially the part about about sabotaging and sticking with what’s familiar, even if it’s not what you really want. I’ve found that most women don’t KNOW how to have a good relationship and worst, have never had one. There are a lot of reasons for this. Maybe you’re afraid you’ll mess up a relationship. Maybe you’ve had so many negative experiences with relationships you don’t know what a healthy relationship feels like. Maybe your dad cheated or was an alcoholic, and so you attract the same kind of men too. And ultimately, maybe you don’t believe you’re good enough. Look, embracing a new normal isn’t easy, and the unfamiliarity of it can be uncomfortable. Many of my clients struggle with this too. And when they do start dating someone, they struggle with trusting themselves to make choices, and they don’t know what’s okay behavior from a guy and what’s not. Sometimes they want to give up or just go back to an ex because it feels easy because it’s comfortable. Even if you don’t have that specific situation, you might have found it familiar. And if you did, I can help you figure out how to make that transition from disappointment and sadness to success in your relationships. If you’ve never been in a “real” or healthy relationship, it doesn’t mean anything about what’s possible for you. You just have some work to do, and I would love to help get you there. Believe the answer is to do more dating “things.” Go on more dates, send more messages, revise your profile over and over again, join meetup groups. ALL.THE.THINGS. The Love/Life Connection Coaching Intensive will help you create your new normal so that you can find and keep the love you want. Month 1: In our first month together, we look at what’s holding you back. 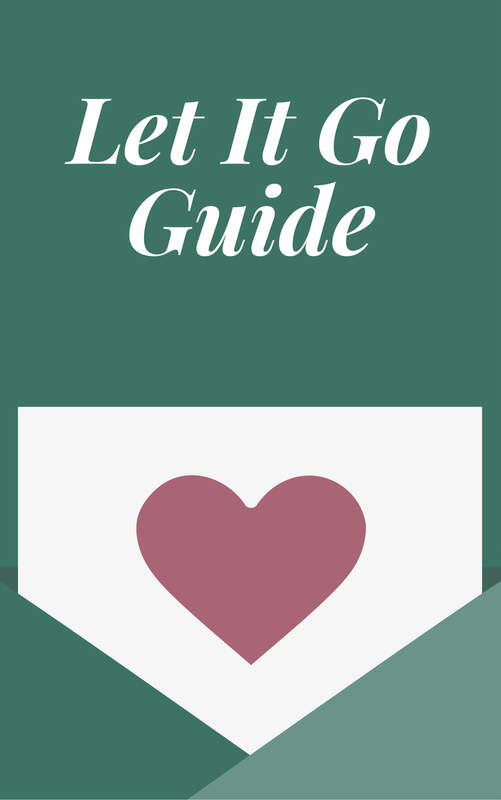 If you’re recently getting out of a relationship or have some lingering baggage, we’ll take a look at it and make sure you’ve learned every lesson from it. I’ll make sure you’ve fully processed it so you can finally move on. We’ll also take a look at unresolved childhood issues that you’re just playing out in dating. Those unresolved issues are holding you back, so we look at that so you can finally free yourself from them. Month 2: Next, I help you figure out who are you and what you actually want out of life and love. (Hint: this has nothing to do with your Perfect Man List.) Once we figure that out, I’ll help you design your life so that it reflects you and your values. No need to wait on a man to live your ideal life. Imagine feeling refreshed and excited each morning you wake up and fulfilled and satisfied each night before bed. Month 3: It’s impossible to have a meaningful relationship if you don’t create boundaries that feel good AND can’t communicate them effectively. 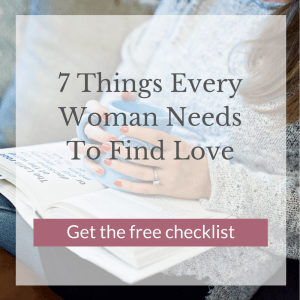 We’re going to look at people pleasing, co-dependence, or those walls you have up that you *think* are boundaries, but really are keeping love out. Finally, I’ll teach you how to have tough conversations, because you can know yourself all you want, but if you can’t communicate it, it doesn’t do you any good. 1 90-minute Relationship Deep Dive: This intro session will create the framework for our time together. By the end of this session you’ll be crystal clear on your relationship patterns, why they’re happening, and have an action plan to stop those crappy patterns in their tracks. 6 60-minute sessions: In these sessions we will walk through the 3 pillars I outlined above. By the end of our last session, you will have an entirely new way of loving and living. 1 60-minute Completion Session: In this final session, we’ll celebrate how far you’ve come and create a long-term action plan so you don’t need me as your crutch and you can keep your new habits and perspectives on life and love intact. Full email access to me. Bad day? Quick question? An S.O.S. kinda situation? I’ve got you. Send me an email or audio message and I’ll help you work through something between our sessions. Apply for your free Love + Life Consult here. Once you submit your application, you’ll hear from me within 1-2 business days about scheduling your free consult. My goal is to help you create a new normal in love. I can help you live a more fulfilling life and find meaningful love. But I can only help you if you let me! Again, the application to apply to work with me is HERE. 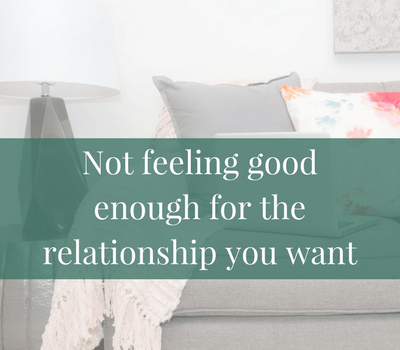 I know you don’t *need* a relationship, but it’s okay to want one. And I can’t wait to help get you there. PS – I’m accepting new clients to work with me in the Love/Life Coaching Intensive. This program will help you get unblocked and unstuck in relationships so you can find and keep the love you want. Get started by applying for a free Love-Life Consult HERE. QUICKIE: To Swipe Or Not To Swipe?